The secret of EZ Street is that its polymer-modified cold asphalt can permanently repair potholes, street edges, utility cuts and provide overlays to asphalt or concrete. It works in all weather conditions – it can even be installed in rain puddles. On driveways, roadways and highways, EZ Street cold patch is easy to apply and requires no mixing or tack coat. Simply clean loose debris, fill the area with EZ Street cold patch asphalt, then compact it with a hand tamp, a shovel or car tire. Overfill it to a slight crown as traffic will compact it a bit further. 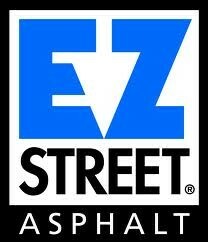 Visit our case study pages for EZ Street paving solutions. – 300 PSI working pressure rating! 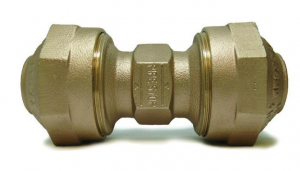 Same as our other water works couplings. – The connection is shipped ready to use, simply insert the pipe and tighten. – The rubber seals conform to the pipe diameter, providing high pressure sealing of the waterway as well as preventing contaminants and soil from entering the gripper area. – The gripper sub-assembly is symmetrical, and therefore works in either direction regardless of the orientation. – The gripper sub-assembly is a snug fit in the nut preventing loss of the gripper and seals in the trench. – The Stainless Steel teeth provide electrical continuity from metallic pipes to the coupling body, eliminating the need for trace wires when metallic pipes are used. – Accommodates pipes that are slightly oval or slightly deformed, saving time and materials in some sizing situations. U3 and U4 are currently available, other sizes in development. • Wide range covers DI through IPS PVC pipe diameters without having to change components. • One piece, stab-fit installation. • Cast components are high strength ductile iron. • Working pressure: up to 350 PSI. • Accommodates 8 degrees of deflection (4 degrees on each end).